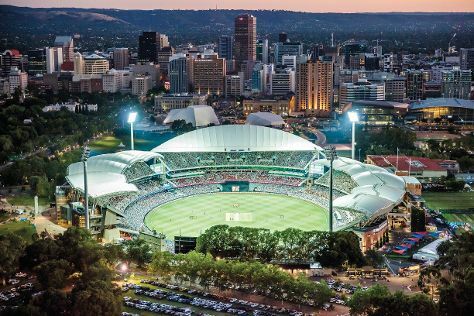 Adelaide Oval and South Australian Museum are good opportunities to explore the local culture. Head to Adelaide Central Market and North Terracefor some retail therapy. Change things up with these side-trips from Adelaide: Semaphore Beach (in Semaphore), Langmeil Winery (in Tanunda) and Murray Street Vineyards (in Greenock). 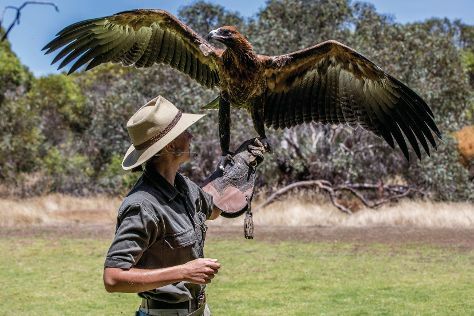 There's still lots to do: take a stroll through Rundle Mall, meet the residents at Adelaide Zoo, kick back and relax at Seacliff Beach, and identify plant and animal life at Cleland Wildlife Park. To see where to stay, more things to do, and other tourist information, use the Adelaide trip itinerary planner. London, UK to Adelaide is an approximately 25-hour flight. You can also do a combination of flight and bus. Due to the time zone difference, you'll lose 9 hours traveling from London to Adelaide. When traveling from London in December, plan for warmer days and somewhat warmer nights in Adelaide: temperatures range from 30°C by day to 17°C at night. Wrap up your sightseeing on the 18th (Sat) early enough to travel to Carrickalinga. Do some cultural sightseeing at Allusion Wines and Christ Church. Step out of the city life by going to Carrickalinga Beach and Aldinga Beach. Venture out of the city with trips to Delamere (Deep Creek Conservation Park & Blowhole Beach) and Alexandrina Cheese (in Mount Compass). For ratings, more things to do, reviews, and other tourist information, you can read our Carrickalinga trip builder app . Traveling by car from Adelaide to Carrickalinga takes 1.5 hours. In December, plan for daily highs up to 30°C, and evening lows to 17°C. Finish up your sightseeing early on the 21st (Tue) so you can travel to Port Lincoln. Bring the kids along to Shark Diving and Glen Forest Tourist Park. Visit Fishery Bay and Lincoln National Park for some beach relaxation. Change things up with these side-trips from Port Lincoln: Coffin Bay (Food Tours & Coffin Bay National Park). And it doesn't end there: get engrossed in the history at Koppio Smithy Museum, don't miss a visit to The Old Mill, get great views at Winter Hill Lookout, and examine the collection at Axel Stenross Maritime Museum. For reviews, more things to do, and more tourist information, go to the Port Lincoln trip itinerary planning tool . Traveling by car from Carrickalinga to Port Lincoln takes 8 hours. Cap off your sightseeing on the 26th (Sun) early enough to travel to Kangaroo Island. Escape the urban bustle at Flinders Chase National Park and Seal Bay Conservation Park. Attractions like Stokes Beach and Raptor Domain make great kid-friendly stops. There's much more to do: explore the striking landscape at Admirals Arch, enjoy the sea views from Cape Willoughby Lighthouse Keepers Heritage Accommodation, wander the wide-open spaces of Island Pure Sheep Dairy, and savor the flavors at Kangaroo Island Spirits. To find traveler tips, where to stay, other places to visit, and tourist information, go to the Kangaroo Island trip planner . Traveling by combination of flight and taxi from Port Lincoln to Kangaroo Island takes 3 hours. Alternatively, you can do a combination of car and ferry; or do a combination of bus, ferry, and taxi. Wrap up your sightseeing on the 31st (Fri) early enough to travel back home.